The Champion from Canberra is the winner of the opening stage of the Herald Sun Tour 2019, which took place in the notorious autodrome, seat of the Australian MotoGP Grand Prix. 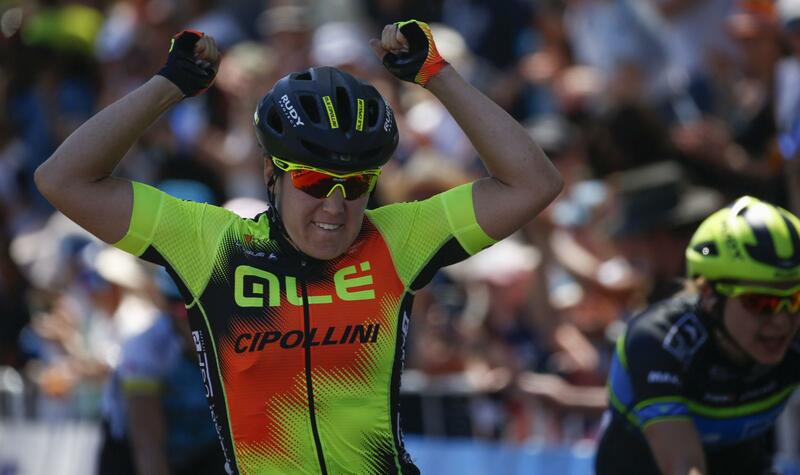 The second season win for Chloe Hosking arrived beating the Italian Rachele Barbieri and the Finnish Lotta Lepistö, sprinting in a very small group composed by only 8 athletes, who arrived with a gap of 7’’ from the first chasing group. Ruth Winder did a solo breakaway that started at the lap 6 of the 22 overall in the Phillip Island circuit, resisting until a lap and half from the finish. The pressure of the group, due to the pace imposed by the Alé - Cipollini Team of the Sports Director Giuseppe Lanzoni neutralized the attack by the American rider to sprint for the stage win. Tomorrow there will be in Churchill the second and last stage.